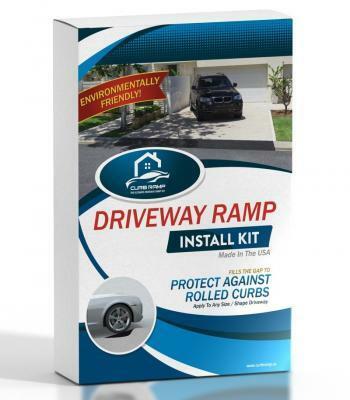 Add Curb Ramp™ To Your Home & Lawn Care Services To RAMP UP Sales! Do you own a home & lawn care service or business? Are you looking to ramp up sales with minimal effort? We have just the solution for you. 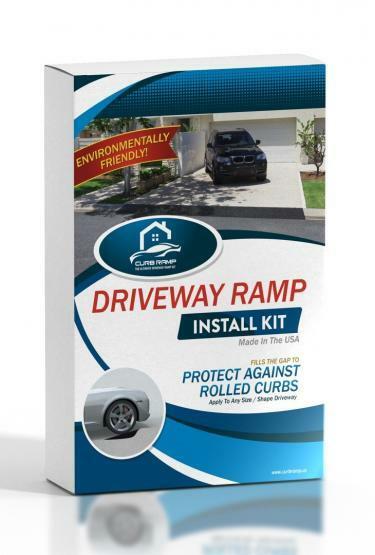 Curb Ramp™ is a do-it-yourself driveway ramp kit used to create a smooth transition between a driveway and the street. Made entirely from recycled materials, Curb Ramp™ can be customized to fit any slope. It is an ideal product for owners of low riding cars, golf carts, and individuals with back or neck problems. While it can be used for any driveway – business or residential – we have found Curb Ramp™ ideal for active retirement/ golf cart communities like The Villages, Florida. With its ability to lessen the impact on individuals necks and backs coupled with its ability to be customized to any angled slope, Curb Ramp™ provides a great convenience for homeowners who are frustrated with constantly jolting and bumping over rolled curbs every time they leave the house to play a round of golf. At a fraction of the price of the competition, Curb Ramp™ provides landscape design companies with an affordable, Homeowner’s Association-approved product they can use to provide new installation services to communities like The Villages. Landscape companies of all sizes can leverage their existing clientele base to supplement the the current maintenance they provide by adding Curb Ramp™ installation services. Simply print off the flyer below and present it to your client the next time you show up to provide lawn maintenance. So what are you waiting for? RAMP UP sales by adding Curb Ramp™ to your line of home / lawn care services today!